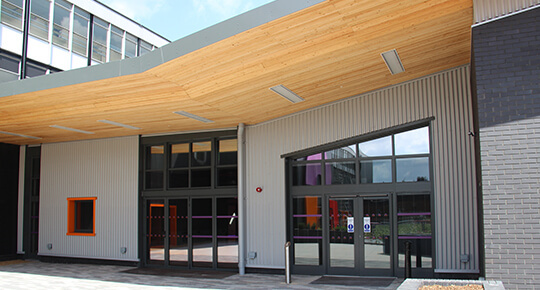 How the vertical cladding and proprietary trims are designed and installed can have an immense influence on the final appearance of the building and we are also on our experience of being able to provide what the client wants with careful installation and attention to detail. We also ensure that all Belmont Roofing details are designed to meet today’s ever-changing Building Regulations. Can be fixed both vertically and horizontally. Outer weather sheets are available in many different profiles ie profiled, flat, micro-ribbed in many different finishes with white internal liner bonded together in the factory with LPCB/FM foam or rockwool core of varying thicknesses to provide specified ‘U-values’. All are fixed directly through to the steel structure and can be used in a fire wall situation. Examples of a modern and attractive finish can be achieved by careful use and contrast of colours. 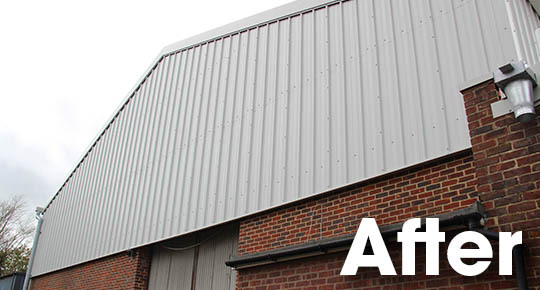 Many 1970’s buildings moved away from tradition brick and used asbestos wall cladding for a cheaper and quicker option. Many of these buildings have been damaged over the years and look unsightly and dated. 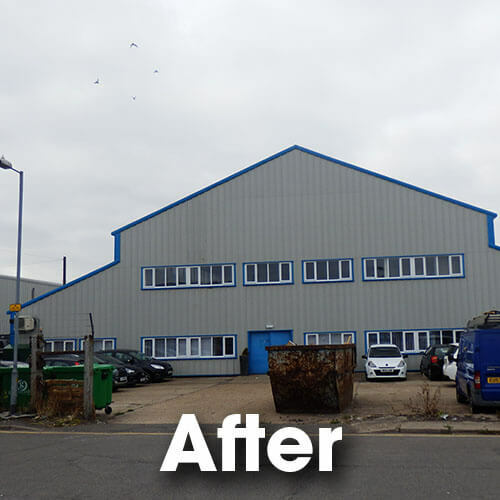 Belmont Roofing have over clad many of these buildings by fixing a metal spacer system to the cladding rails by drilling through the asbestos and using a modern day rainscreen system. This can be a quick and easy way to modernise buildings and insulation can be added. There is a wide range of profiles materials and colours available and the sheets can be laid horizontally as well as vertically. By the use of contrasting colours on detail work, door trims and flashings, corporate colours can be highlighted. New vertical translucent lights can be incorporated. 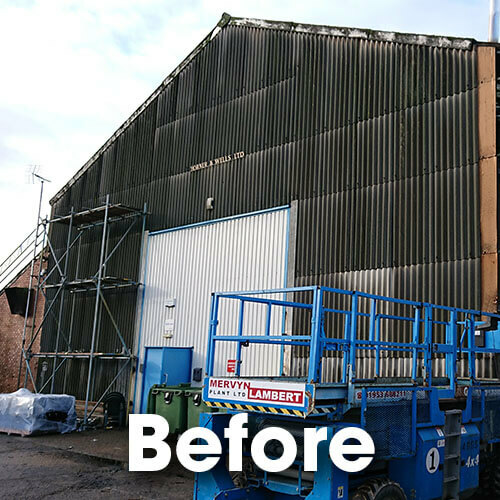 Ideally the asbestos cladding could be removed and a modern composite cladding panel used instead. 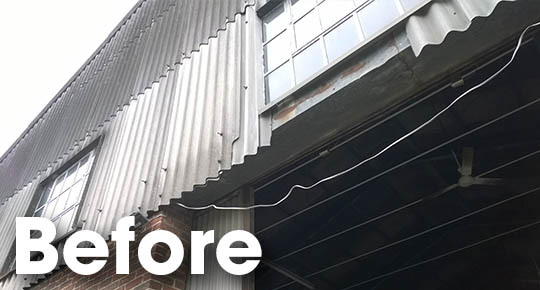 This will greatly enhance both the external and internal appearance of the building.